In recent years, there's been a rise in working from home. And if you're one of those people, you know that working distraction-free can be a challenge. The key is to set the mood. Custom home offices from California Closets of Dayton gives you the opportunity to build any type of office you want, whether that be a private, quiet corner office or a creative, collaborative workspace. 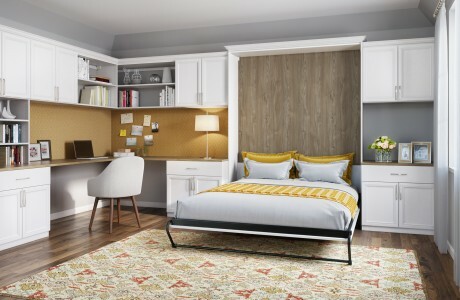 If you’re looking to create a spare bedroom/home office hybrid, a Murphy bed system is the perfect solution for you. Murphy beds from California Closets can be built into custom cabinetry that includes a desk. That way, you can work in your stylish home office during the day and fold out a spare bed whenever you need it. Another important aspect of a functional office is a unified workspace that looks great and gives you everything you need. California Closets of Dayton brings you a variety of styles and options for counter space, bookshelves, lower desk cabinets, floating shelves and more. 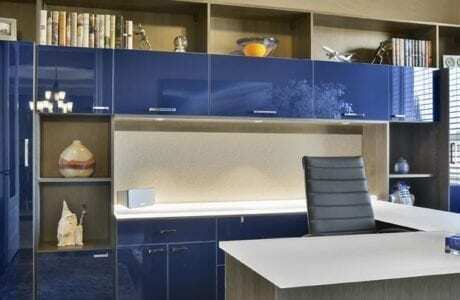 We’ll help create a look and feel to your home office that matches all of your needs. Don’t wait another minute to get the home office you’ve been dreaming about. Schedule your free in-home design consultation with our Dayton team. We'll work with you one-on-one throughout the entire process to build the office perfect for your home.